Offering laidback luxury for the effortlessly chic mama, the Skip Hop Greenwich Diaper Backpack is made of durable, wipe-clean vegan leather. With earthy colors and clean lines, it features multiple pockets for ultimate organisation. 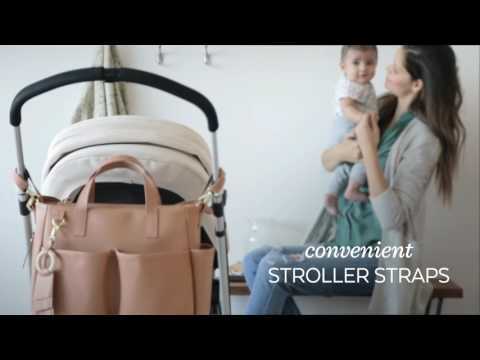 Like all Skip Hop's stylish baby bags, it comes with a cushioned changing pad for convenience.